Would you agree that there is something enchanting about pressed flowers? They dazzle the eye with vibrant color and exquisite detail, all the while evoking gentle feelings of nostalgia. Perhaps best of all, pressed flowers cost nothing. 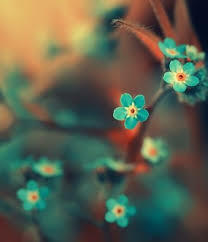 Do you love flowers? Do you hate to see things go to waste? Are you great at crafting and making things beautiful? If so, our pressed flower jewelry box project is for you. It is the perfect Springtime craft, and also makes a thoughtful gift. Altogether, these materials should be very inexpensive. Carefully place your live flower blooms onto one piece of white paper; do not let the blooms overlap. Open your hardback book and place the white sheet loaded with blooms into it. Cover the blooms with the other sheet of white paper and close the book firmly. Now comes the hard part: leave the book alone for at least a week; this is how long it takes for the flowers to become thoroughly pressed and dried. In the days you are waiting for your flowers to dry, paint your wooden box with the acrylic paint you chose. You may need to apply 2 coats of paint. White is the perfect showcase color for your vibrant pressed flowers. Allow box to dry totally. 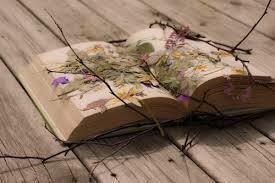 After the week long period, open the hardback book and carefully remove the dried flowers with tweezers. They will be as thin as tissue paper, so be very gentle. Using tweezers, arrange the pressed flowers into a design of your choice on top of the box. Be as creative as you desire. Remember, this is your creation! After your flowers are arranged atop the box, carefully lift each dried bloom and dot tiny amounts of school glue (use a toothpick to do this) on the backside of the flowers. Then, lay the flowers on the box and gently press down on them. Do this until all your dried flowers are glued in place. Let arrangement dry. The last step is to spray your completely dry craft with Krylon clear acrylic sealer. Be sure that the top of your jewelry box is open when you do this; otherwise, the spray will glue the box’s lid shut. You may want to spray another coat of sealer after the first coat is dry. Allow box to dry. Your Springtime pressed flower jewelry box is now finished and ready to be enjoyed! We would love to see your finished product. Please share a photo of your Springtime craft with us on Twitter (https://twitter.com/segmation). Is there a specific craft you love to make that uses pressed flowers? Please share with us in the comments section below. This entry was posted in craft, crafts, creative art projects, creativity, flower, Flowers, nature, Spring, spring crafts, Spring Flowers, springtime and tagged box, craft, create, directions, dried, flower, flowers, gift, how to, jewelry, make, pressed, pressed flowers, spring, springtime on April 21, 2015 by segmation. Art that has been created with totally natural or organic materials is becoming more and more popular among art-lovers. There are many reasons for this. First, this type of art is generally quite economical. In addition, art made with natural materials is beautiful and often looks “earthy”. Also, natural art is sometimes biodegradable, or at the very least, somewhat beneficial for the environment. Are you a fan of natural art? You can create works of art from beans. Although most people probably wouldn’t believe it, it is entirely possible to create beautiful, even expensive-looking, art from dried beans. Bean art is on the rise in popularity, and for good reason. It is easy-to-make, earth-friendly, and unique. The great thing about bean art is it can be personalized to fit perfectly with the decor of someone’s home. Prepare to make bean art. Before you purchase the beans, decide on an image you want to create. It can be an online image or a freehandimage. You can either hand draw a picture onto a piece of cardboard (make sure the cardboard fits the picture frame), or you can project an image onto the board and trace it. After the image is decided on and the piece of cardboard is prepared, you are ready to move on to the next step. Break out the beans and have fun! The next step is to gather the dried beans and glue them onto the piece of cardboard with tacky glue. This step can be lengthy, but it is relaxing and enjoyable. Bean by bean, arrange the color scheme you imagine. While the beans are drying on the cardboard, spray paint the frame with a complimentary color. When all is dry, unite the cardboard with the picture frame. Your work of art is complete! Read more about the step-by-step process of making bean art at http://just-between-friends.com/2011/02/bean-art-tutorial.html. Why do you love art made from natural or organic materials? We love to hear from our readers, so leave a comment on this Segmation blog post today and share about your passion for natural art. Coming soon: Art history buffs will not want to miss our next blog post about early cave art in Spain. — What Color Should You Paint Your Home? This entry was posted in "out of the box" art, Art tutorial, Eco-friendly art, economical art, How-to, Natural art and tagged Art, bean, beans, cardboard, create, image, natural, paint by numbers, step on March 4, 2013 by segmation. Art comes in more forms than paintings, drawings, songs, dances, and the like. Art can also consist of a simple product that comes from a creative activity. For example, knitting a sweater is creating a piece of art. After all, the knitter created the article of clothing; this act of creating makes him or her an artist. Another fun and easy way to create art is by tie dying. After you have set up a station to tie dye your t-shirt and prepare your materials, you are ready to begin creating your piece of art! You will begin by soaking your t-shirt in lukewarm water that has been treated with soda ash and 2 spoonfuls of salt for 10 minutes or so. After that, ring out your t-shirt well. The next step will be to lay the t-shirt out flat. You will then create a “pie shape” in your t-shirt and tie it with rubber bands (please see http://www.instructables.com/id/How-to-tie-dye-an-old-white-shirt-or-a-new-shirt-/?ALLSTEPS to thoroughly learn techniques that will help you achieve the look you want). To dye and finish your t-shirt, follow the dying instructions that came with your tie dye kit. In just a few hours you will have a beautiful tie dyed t-shirt that is summer-ready! 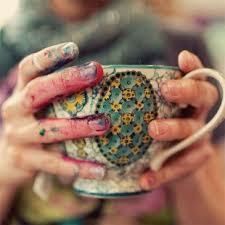 Are you an “everyday” artist who creates beautiful meals, welcoming rooms, scrapbooks, or tie dyed items? If yes, feel free to tell us about your artistic passion in the “comments” section below. 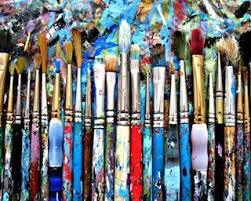 Segmation would love to know how you make the world a better place through creating different types of art! Note: Top image was found at http://blog.woodalls.com/2010/09/oregon-state-fair/tie-dye/. This entry was posted in "out of the box" art, Easy art, Everyday art, How to, Summer projects, Tie dye art and tagged Art, create, creating, dye, dying, kit, rubber, Segmation, shirt, tie, tie dye on February 25, 2013 by segmation. Have you been keeping up with Segmation’s paint by number blog posts this month? If so, you are aware of the impact this art form has had on American culture. Do you love paint by number? We hope so, because this post outlines how to make your very own paint by number pillow. The first step in creating your paint by number pillow is to obtain the supplies you need: paintbrushes, a fabric marker, masking tape, paint pot strips, paint by number guide, fabric paint, “heavyweight” cotton (to be used for back of the pillow), hand sewing needle, thread, “plain, light colored utility fabric for pillow front,” scissors, and Poly-fil. Once you have gathered your supplies, you are ready to move into the crafting stage of the project. Next, you will print a paint by number guide (you can download the right side of the guide at http://abeautifulmess.typepad.com/files/rightside.pdf, and the left side at http://abeautifulmess.typepad.com/files/leftside.pdf). Once each side of your guide is printed, you will tape the sheets together to make a whole guide. Place the guide atop your fabric (intended for use as the front of the pillow) and cut the fabric to fit the size of the guide. Now for the fun part! Trace the paint by number guide onto your pillow fabric. You can do this by hanging/taping the paint by number guide with the fabric ontop to a window. The sunlight coming through the window will help you to see the paint by number lines. Use your fabric marker to trace the guide onto the fabric as carefully as possible. (Don’t forget to include the numbers.) Make sure you do this on a sunny day! Next, you will number your paints and begin to add color to your pillow front. Paint your picture by simply matching up the numbers of paint with the numbers on the pillow guide. This will result in a beautiful paint by number pillow front! How much do you enjoy paint by number and Segmation? Whether you like being a perfect painter, great digital artist, or have fond childhood memories of coloring inside the lines, your experience is unique. We want to hear your story in the comment section below. What does paint by number mean to you? Note: this project was adapted from http://www.abeautifulmess.com/2012/07/make-your-own-paint-by-numbers-pillow.html; here you will find more in-depth instructions for this project as well as directions for putting a back on the pillow, etc. Coming soon: Read Segmation’s exclusive article about the unique ways many professionals have incorporated paint by number into their careers. This entry was posted in "out of the box" art, Art, art kits, Christmas, crafts, Lenon, paint by number, Paint by Number kits, pattern, Pattern art, portrait, unique art forms, unlikely artist and tagged Art, craft, create, make, number, Paint, Paint by Number, pillow on November 26, 2012 by segmation. Most people would agree that color has the ability to bring something (or someone) to life. For this reason, nearly everyone who has a home uses color not just to decorate with but to create a certain ambiance. Some individuals long for the beach cottage look and opt for cool, neutral tones reminiscent of the Oceanside. Others desire a Southwestern feel and choose tones that are warm, open, and inviting. No matter the personality a person wants his or her home to possess, color can create it. One of the most popular colors to decorate with is brown. Brown can really warm up a large space and set an atmosphere of “hominess”. People often love brown shades because they are rich and earthy. Brown tones can encompass anything from beige to dark, rich mahogany. Rose, yellow, orange, and red are the shades that comprise the color brown. Numerous shades can be used as accents to brown tones. Some of the most popular color combinations in homes today are a lettuce or celery shade and chocolate, or coastal blue a darker nut shade. Perhaps the most wonderful thing about using brown in a color scheme is that it is so versatile and goes with many different types of décor. Orange is a color that is becoming better known for its ability to bring a sense of happiness to a home. After all, who wouldn’t feel better by simply entering a room painted with a beautiful, captivating shade of a sunset? The brightness of orange can really create a sense of identity for a house or a family. Some accent colors that look especially great with orange are blue, turquoise, and even various shades of pink, such as watermelon. One hue home decorators never seem to tire of is green. Green is a calm, cool color that sets a mood of relaxation, peace, and serenity. For these reasons, bedrooms are often painted shades of green. Green can range from a very pale spring green to mint, lime, avocado, hunter green, and olive. Green looks fantastic with colors such as pink, lemon, and bright lavender. Never underestimate the power of color – it can change someone’s mood and transform an older, dingy-looking house into one fit for royalty. What moods do you want your home to evoke? Once that is determined, it will be easy to choose colors that will both beautify and enliven your house. This entry was posted in Christmas, Color, color hues, colors, Create moods with art, Decor, Home decorating, Hurricane, inside activity, Kansas City, Kansas City Chiefs, Oceanside, Paint, paint by number, Sandy, Worlds AIDS Day and tagged a company that will turn kids drawings into gifts, ambiance, Art, Brown, Christma, color, colors, create, decorate, entertain, entertain your family, favorite hurricane-friendly games, Green, home, hue, Hurricane, inside activity, Orange, Paint by Number, Segmation, shades on October 29, 2012 by segmation. The way color affects individuals is simply remarkable. Different tones can create moods, evoke emotions, and make statements. Brides understand this and often choose their wedding shades prior to making any other plans. Art therapists understand the power of color and utilize it for healing purposes. Also, nothing is as effective at setting an ambiance than color. It’s undeniable that shades and tones are forces to be reckoned with. For J Public Relations, color has created a sense of identity as a company. JPR, a firm whose specialty is “eateries” and hotels, is truly unlike any professional office you have ever encountered. This is because it is bathed in pink. Pink walls and light fixtures, and even pink accessories and graphics grace the offices of J Public Relations. JPR’s kitchen even boasts this happy shade. This has many people asking one simple question: why pink? Jamie Sigler Pescatello and Kim Julin Guyader, founders J Public Relations, were the brains behind the pink offices located in New York City. They chose the shade first because they favored it, and second because they believed it would make the firm distinct from competitors. Pescatello and Guyader also found the color to be “playful and powerful,” and thought it represented the firm’s personality. When Pescatello and Guyader first visited their current office space they were less than impressed. In fact, they were downright frightened by the 3,300 square feet that used to be a law firm. The peeling wallpaper and dark color scheme of the offices almost scared the founders of JPR away, but over time they became convinced that they could create the work space they imagined. A few knocked-down walls and buckets of pink paint later, J Public Relations had offices that continue to inspire creativity in its 24 staff members (who are, by the way, all female, “though unintentionally”). It turns out that the founders of J Public Relations had a brilliant idea when they dreamed of pink. The lovely color that has come to define JPR has attracted interviewers and is inspiring articles and blog posts. The office space of J Public Relations is an example of the amazing ability color has to create and cement a sense of identity. This entry was posted in Color, color hues, companies, Eateries, Identity, inspiration, Pink, Public Relations, Uncategorized and tagged color, companies, create, firm, identity, J Public Relations, pink, Segmation, shades, tones on August 29, 2012 by segmation.